Location: La Libertad, El Salvador. On March 14, The Solar Park Cangrejera of 1.2MWac, entered into commercial operation. 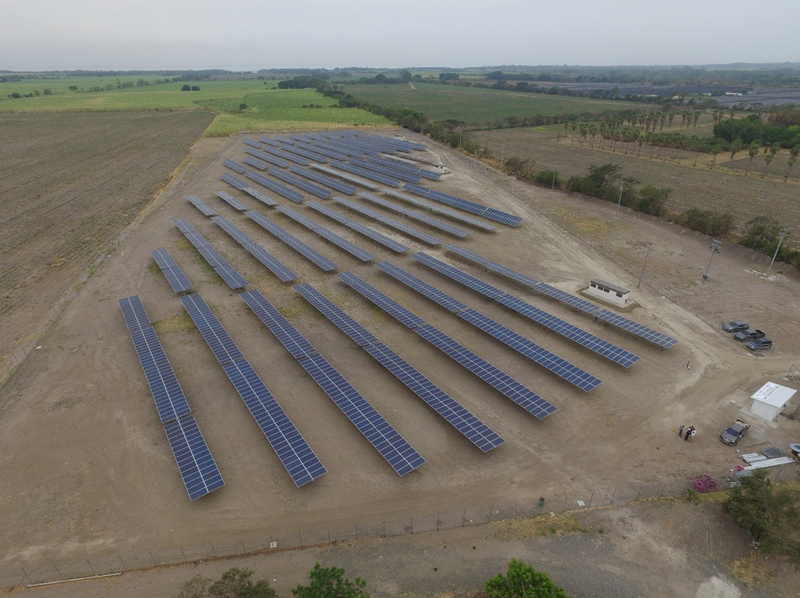 It is a proprietary development of GRS presented at the 1st solar energy tender in El Salvador, and was awarded. This plant has the distinction of being the first in which the Monoline is installed, a new model structure with single-axis tracker, designed and manufactured by PV Hardware, which allows greater versatility in the choice of land and structure designs of photovoltaic plants.